a-ha will be headlining the charity concert “BBC Children in Need Rocks the 80s” at Wembley Arena (aka The SSE Arena) in London on October 19th. Some of the other acts taking part include Bananarama, Boy George, Europe, Erasure and Jason Donovan. 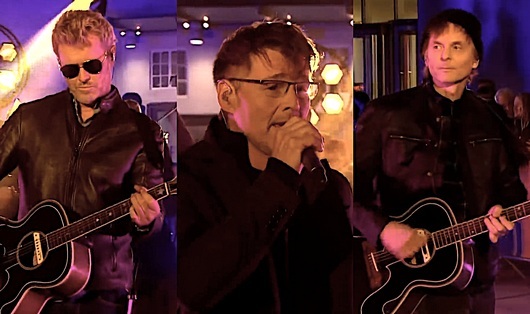 The decision to perform seems somewhat puzzling, as a-ha have always been careful to avoid 80s-themed nostalgia events. Obviously, they are in a totally different league when it comes to continued success and credibility than any of these acts. But the promotional opportunities in the UK must have been limited at the moment. According to independent.ie “the concert will be broadcast on BBC1 in the run-up to the annual BBC Children In Need appeal”. More info and ticket links on bbc.co.uk. Morten and Paul also did a video interview with Reuters. Today the guys were in Manchester, where they were guests on BBC Breakfast. A video clip of the interview has been posted on YouTube. Later on they did a signing session at HMV Manchester. A selection of pictures can be seen on the event page on Facebook. For lots more links and pictures from the UK promo, visit my Twitter profile. A new album, Cast In Steel is ready, but the band members haven’t been together in the studio during the recording process. 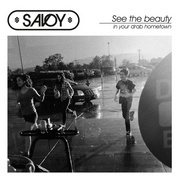 That is something Paul Waaktaar-Savoy regrets. “I wish we could get together, that is the way we should be recording music”, Waaktaar-Savoy says. He was also eager to have one producer on the whole album: Alan Tarney, who produced a-ha’s three first albums. But that’s not how it turned out. 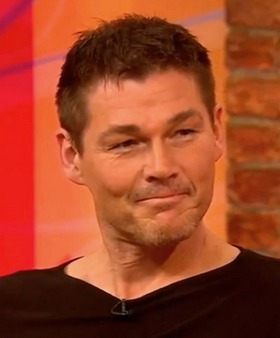 Morten Harket also feels they should have recorded the album together, after first doing a tour. – That’s what Paul also said? In the end, 12 songs were selected for the album, while many others were rejected. “I came into the process very late, and I think Paul felt the album was already finished. But then the majority expressed a clear wish that we should go all in. 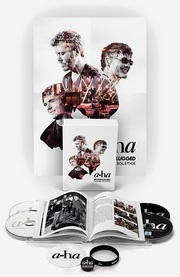 a-ha is the three of us and needs those three voices”, Furuholmen says. Waaktaar-Savoy describes the song selection as “total chaos” and says he really missed an A&R-guy like they used to have in the past. Someone from the record company who could interject and make a decision. 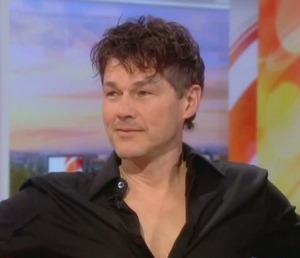 Morten did some more promotion in London yesterday. He started by appearing on Lorraine Kelly’s show on ITV, which can be seen here. Then it was time for radio interviews, which included BBC Derby, BBC Lincolnshire, BBC Merseyside, BBC Suffolk, BBC Devon and others. Following a solid amount of promotion, Out Of My Hands has entered the official UK album chart at #37 in its first week, selling 3,455 copies. This is his first solo album to reach the UK top 40. Additional radio interviews with Morten this past week include BBC Radio Scotland with Janice Forsyth on May 19th (starts at 0:19) and BBC Radio Lincolnshire with James Hoggarth on May 21st (starts at 3:25). 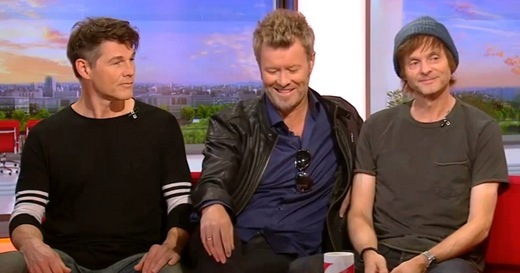 Morten was a guest on BBC Breakfast this morning. A video clip of the interview can be seen here. Yesterday he was interviewed by Alan Thompson on BBC Radio Wales, which can be heard here (Part one at 1:15 and Part two at 1:45). He was also a guest on Alan Simpson’s show on BBC Radio Ulster yesterday, available here (starts at 1:10). Other interviews coming up include Matt White’s show on BBC Radio Manchester tonight and “Good Morning Sunday” on BBC Radio 2 this Sunday, May 13th.